Modern Day Society is perpetually just 72 hours away from Anarchy! Society is perpetually 72 hours away from Anarchy? This is a Free Range article and is about Modern Day Society and how we are 72 hours away from Anarchy.............just 72 hours!. It's not an article about Extreme Weather or Natural Disasters. It's not even an article about modern politics, New World Order, End Times News, Biblical Prophecy, Spirituality, Religion or Christianity. It's not about any events going on in the Cosmos, it's not even based on the latest Scientific discoveries. It's not about Prepping or any similar topic. or even conspiracy theory, it is based on one thing, and one thing only and that is.... cold and hard FACT! Modern day society as it currently stands is merely 72 hours or 9 meals away from Anarchy and a total collapse back to the dark ages! This article DOES NOT require an open mind. But it is a shaker. If you are not already aware of this situation (and not many are) I guarantee, you will not look at the world the same way again. You will think differently after reading this and realise what a fragile precarious state our lives are based on. It's the sort of article where you are invited to NOT read any further and carry on living as you did before. OR you carry on reading and maybe come out better prepared mentally (but not necessarily spiritually) to face a potential society meltdown if it was to happen tomorrow. The choice is yours. For those left who are still here, How did the idea for this article come about? Whilst sitting in Grosvenor Square in Mayfair Central London and watching people heading off to work, most walking and staring at their mobiles at the same time, the thought hit me how lucky we are, here, in the Western World. Most of us have the basics we take for granted for human life and survival, food and clean water, heat and lighting, shelter, security and clothing. When you are hungry or thirsty, just pop into the local supermarket and your needs are taken care of. Need clothes, just pop into a shop select your size, pay and it's yours, ready made and instant. Flick a switch and you have power and warmth and lighting. Turn a tap and you have clear, clean safe running water. Technology has virtually replaced Snail mail in the form of text and email, and now more recently Social Media and many of it's new emerging derivatives. You can contact somebody the other side of the world in seconds. Most third world diseases in the West have been reduced to negligible levels or seemingly eradicated?, they are still there, but it's not really a concern in this modern day and age. We have Government, police and military to keep our (how I see it) fragile society from going into total meltdown and an anarchic state. Everything is under control in our "just in time" delivery society..............or so it seems? Nowadays paper is old school, we read the news on our phones, laptops, tablets and PC's at home or work. The power these now essential items need and the networks they work off, we take for granted and just naturally assume these things will be there forever. The servers that run the backbone websites of the Internet such as Facebook, Google, You Tube, Twitter and many others, we naturally assume will always be there also, if they experience down time, they have backup locations and power.... right? Cars, buses, trains need fuel and currently there is an over supply of oil in the world, a glut, surely there is no problem there for at least twenty years or so, that's not going to dry up in the immediate future? But this is the thought that entered my head as I watched these people heading off to work living cosy if stressful lifestyles in what you could class as a form of utopian world? WHAT IF the food or water suddenly ceased and the supermarket shelves were empty, what if there was no power for heating and lighting, communication networks went down and those old school diseases started emerging again in a more virulent form. What if the oil taps were turned off permanently. What if as a result Anarchy did break out, how long would it take, how long would it last, what would it be like, would the rules change on how to live and survive in this new bizarre world................would we end up in a Mad Max scenario or perish the thought, something even worse? If there is a hell...............would this new scenario be it? We will take a closer look at a couple of such scenarios (there are many) that have supporting videos. Disturbing videos it has to be said, the sort of things we don't really want to think about, we put to the back of our mind and hope we will never see happen. Government has all this stuff under control surely? BUT governments or otherwise will agree (but not in public).......... as this article headline states "Modern Day Society is just 72 hours away from Anarchy! Two Scenarios that could happen now! As you will see from the Disaster Scenarios below if a serious crisis did strike, we will not have three days to react. It’ll be more like three hours, which is about how long it took in the US for panicked food stamp recipients with non-functioning benefits cards to completely raze the shelves of their local Walmarts or for panicked motorists to begin hoarding fuel. This is not an End Times Biblical Prophecy Scenario this is something that is here now day after day, everyday, we are just 72 hours or less from total chaos and the breakdown of modern society as we know it and most people are not even mentally prepared for it? Scenario 1. Supermarket Empty Shelves: Not an End of The world huge rock from the sky hitting this planet scenario but a normal everyday one that can happen at anytime. Transport drivers all go on strike en masse say for a week. 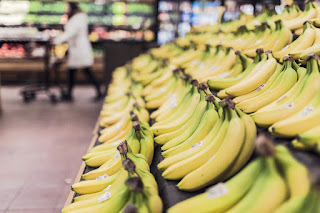 Supermarkets typically carry enough food in store for about 72 hours, all food has a shelf life, some is fresh, some dried, some tinned but they carry enough food for about 72 hours. It's how they operate, they keep storage costs down and pass those savings onto the customer. Cut the Supply Chain as in a mass transport strike and you cut the nations food supply. The news hits the media and people start to panic, within 24 hours the supermarket shelves are empty across the country, I would say probably way less than 24 hours. Those who got food are smug in the short term, those who didn't and are running out start to panic and doing unpredictable things to survive. When the body gets hungry your ability to make good decisions is affected. Your mind and decision processes are not firing on all cylinders, and in an emergency, you need to be able to think clearly. Anarchy sets in and snowballs. Restaurants, Fast Food Outlets, Hospitals, Cafe's, Pubs would all be affected not just supermarkets. Most people can survive without food for 72 hours but as you can see, just a simple strike and within a short period of time, people would change from well fed, caring individuals into psychotic lunatics hell bent on survival at whatever cost. Around Britain, farmers and truck drivers angered by the rising cost of keeping their vehicles running were blockading fuel depots across the country. They had found, and were paralysing, the critical infrastructure of a Western nation more effectively than any terrorist organisation. At the height of the protests, hunkered down in private, serious meetings, Britain’s biggest supermarkets, who account for around 80 per cent of our food supply, were telling Ministers and civil servants that the shelves could be bare within three days. We were, in effect, nine meals from anarchy. set up ‘special courts. It's called Martial Law and this emergency backup doesn't only exist in this country (UK). Just one step away from the infamous conspiracy theory of The New World Order, which after reading this, doesn't sound so far fetched. Still don't believe me. Watch this video, this happened in Georgia when a storm was approaching. Scenario 2. Mass Power Outage or an EMP attack (Cosmos or Man Made): Power outages are not uncommon, some have occurred recently in the US and affected millions of people, sometimes it's a network problem, an extreme weather related incident, sometimes vandalism or terrorism, sometimes sun activity related, but again power relies on a chain of delivery, break the chain and just like Supermarkets it's an Apollo 13 moment as in "Houston we have a Problem". Power, as in electricity is in every aspect of our society, banking, internet, communications, lighting, heating, security systems, lately cars. If there is a power outage, there is normally a backup until the main system gets up and running again. BUT what happens if the main system stays down. How long will it last. The backup systems in place normally last up to 96 hours ( 4 days) after that basically there is nothing and you go back to the dark ages. What would be affected. Mobile Phones and more importantly Networks, Phones, TV's, Internet, Refrigerators, Radios, Security Systems, CCTV, Home Lighting, Street Lighting, Financial Markets, Cookers, Microwaves, Cash Machines, Heating and Cooling Systems, Lifts, Credit Card Readers, Petrol Pumps, Hospitals, Factories, Offices, The Tube, Electrified Railways, Traffic Lights.......the list is endless... During daylight hours it's a problem but not so noticeable as at night. At night take lighting and security out of the equation and many people would start freaking out. In high rise buildings taps would stop working as the pumps that deliver the water to unnaturally high levels would fail to work. Sewage treatment is automated these days and would cease. The list goes on and on and on. Things you wouldn't even think need power, actually do need power. On Thursday, September 8, 2011, an equipment failure in Arizona caused an electric utility cascade failure, leaving millions of people from the San Diego area in the dark. One moment, power was on for a several thousand square mile area. The next moment it was gone. Radio stations are increasingly high tech, and guess what, most stations were off the air during the September San Diego blackout. What happens within 96 hours: After 48-72 hours: Your wallet is empty and so is your fridge. How will you handle even simple purchases without power, communications or cash? As we increasingly transact via credit cards, online and even cell phones, cash has become much less prevalent. If the ATMs are down, and you don’t have enough emergency cash on hand, what do you do? 72-96 hours: No gas, no water. Now what? Cars have run out of gas. The roads are so clogged, they’re non-functional. Public safety will be dealing with all of these issues — with a degraded communications infrastructure. And are the pumps from your local water facility still running? Remember, all of the sewage and water plants are increasingly automated. I don’t know about you, but I would be worried by that point. 3 videos illustrate these two scenarios and others in quite a disturbing manner. Frontlines | S4 E6: "The Fight For Light: The Coming Catastrophe"
The above are just two scenarios that could happen in 72 hours. They could happen on any day, even today. Other scenarios that could cause a similar situation to flare up are a Pandemic (happened with the Ebola outbreak), Extreme Weather such as Hurricanes (supermarket shelves were emptied rapidly when Hurricane Sandy struck the US), Financial Market and Currency Collapse (remember Greece), Massive Asteroid Impact, Natural Disaster such as an Earthquake and many others. So what should you do if anything to deal with one of these potential scenarios. The answer would lead to a whole new article. I personally don't think Prepping is the answer and if you're a Christian it certainly isn't the way to go. Google "Prepping" and you'll enter a whole new, strange and bizarre world but taking basic precautions whether you are Christian or not such as having a basic backup supply of food that stores long term, at least a weeks worth, water for the same period and basic medical supplies is a good starting place and in money terms costs next to nothing. If the worse never happens, eat the food and drink the water and keep the med supplies for a rainy day. Think of it as an insurance policy that you can eat and drink at anytime. How many insurance policies offer you that! Hope this article was of some help! It will come about in that day that a great panic from the LORD will fall on them; and they will seize one another's hand, and the hand of one will be lifted against the hand of another. When a land transgresses, it has many rulers, but with a man of understanding and knowledge, its stability will long continue. Romans 13:2. Therefore whoever resists the authorities resists what God has appointed, and those who resist will incur judgment.